‘My Fellow Citizens’ is about a skilled conman who has never been arrested. When he gets conned by his girlfriend, he tries to drown his sorrows at a bar, where he meets a woman and falls in love with her. On the day of their wedding, she confesses that she is a detective. After the marriage, he gets blackmailed by a mysterious woman into running for a national assembly seat. Kim Min Joung plays the loan shark Park Huja. “I am discovering my new sides by acting out power trips.” Although she said she has a model for the character, she commented that she can’t name the person. 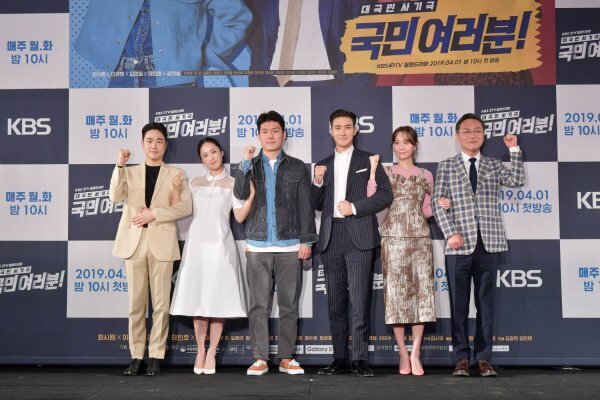 ‘My Fellow Citizens’ premieres tomorrow on KBS World. Stay tuned!